2 Sullivan Bay is an on pacer whp worked to the lead over a longer trip last start and only tired late to finish fourth over in Adelaide comes back to Melbourne and back in trip, the claim for Aitken helps. 6 Nikitas finished strongly to score on debut for Weir at Warrnambool, had form around some smart ones in the spring, can go on with it. 9 Star Stealer good in the worst part of the track at Warrnambool, finished strong last time and is racing well. 10 The Card Players sat deep and all honours his here last time, beat a talented one in Stormsabrewing there. Freshened and back to 1200m here and is super honest. 13 Galaxy Raider resumes here and has trialled well coming into this and just missed last prep when resuming as odds on favourite in 84 grade. 15 Rillito good return from her on a very wet track, trialled well since and has beaten good horses, this is her best trip. This is the first of our jumping features and it is The Australian Steeplechase over 3400m. 1 Wells ran a good second to Angeleogy in this race last year giving him 5kgs, going well on the flat after a fourth at Flemington last week behind De Little Engine. 2 Zed Em won last three over the fences and great win at Oakbank in inferior ground, very tough last time! 3 Now And Zen up to fences two back and good effort at Warnnambool, mid race mistake costly prior. 4 Gold Medals didn’t jump the last well in the Brierly and wilted late, good on the flat last week. 6 Vatuvei unbeaten over the jumps since jumps debut, has schooled nicely over the fences, is right in this. This is the second of our jumping features and it is The Australian Hurdle over 3400m. 2 Renew was first beaten last week but look sensational at Warnnambool prior to remain unbeaten over the jumps. 5 Honey Steel’s Gold looked a hope but fell at the last at Oakbank then sound but no maych for Renew last time out. 6 Goathland is one of my best bets on the program and I think he should get the chocolates here. Held on well fresh, thrashed a handy one before spell and beat all bar another good one prior at 2000m. 10 Plein Ciel is my other best bet on the program, good return swinging very wide on very wet ground and rider said he would be better suited on a drier surface, flew last prep! 1 Leotie showed positive signs last start finishing third last time out, every bit as good as I Am a Star at times last prep and can go close if things go right! 2 Pedrena too good first up, big weight here second up and just didn’t quicken at a key stage, to 1400 and won well running a good time. 3 Soho Ruby liked the gap to third two back, wide and good in handy race latest, is very honest and in this. 4 Lady Lee always wide here then went to Hillside and again covered ground, unproven at the mile but can win. 7 Windbern blew the start on Hillside and made good ground, right on their heels here prior to that. 8 Iheartpoppy won her maiden in a canter last start beating well backed debutante and can go on with it here. 1 Zamzam did enough fresh then jumped in trip at Flemington and quickened nicely beating the males, still on the up this prep. 2 Royal Ace warmed up late fresh, went to Warrnambool 1200m on the wet and ran them down, on the up. 3 Valliano forgive his fresh run, held ground second up and kept closing last time, has ran well behind Russian Revolution before and can win here. 4 Widgee Turf good return with mixed luck, bit tardy but worked home on quick back up last time, is ready to win now. 5 What A Shock much better second up and then led/won at Ballarat last time out, second horse that day came out at Pakenham on Thursday and won. Ran well behind Widgee Turf last prep. 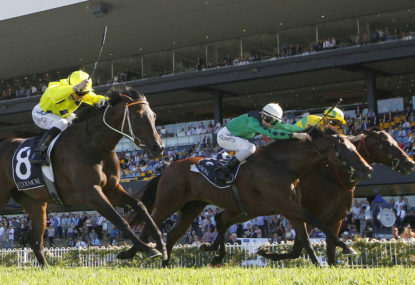 1 Cannyescent great ride to win handy race at Rosehill, the extra 50 meters could be some query but is a talent. 3 Thelburg wide and terrifc win at Bendigo then came out at Caulfield and well a well backed favourite and winning well. 4 Broadway And First settled midfield and got through to score nicely two back then put in an average run last start but can bounce back at big odds. 5 Chamois Road very good at Flemington and took that form to Ballarat and is building a terrifc record. 6 Tykiato ran home well out to 1400m and ran it out well, back to 1200m and limited at a key stage latest. 7 Act of Valour went inside fresh and ran well, nice ride and loved the fight second up, nutted on the wire latest. 10 Bradman wins are spaced but probably ridden a bit warm last time at the mile, did hit the line prior and can bob up at odds. 11 Strike Force kicked off last prep with a fourth to Cheeky Babe better suited this trip fresh and can win. 14 Data Point returned a gelding and raced away at Pakenham ran very well second up last prep, can go on with it now. 15 Give Us a Go held her ground in strong race at Caulfield, suited to BM90 latest and ran well in a handy race.